Wii U is getting so close that we can smell the packaging, and vital details about what to expect out of the box are starting to emerge. While many are no doubt hoping that preview systems will reveal Wii U's secrets to the world, it seems that we'll all have a little longer to wait. 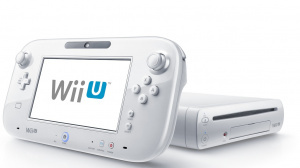 As reported by IGN, Wii U is lacking a number of core elements — aside from playing games, thankfully — in its original form, which is almost to be expected with the nature of manufacturing and ever-evolving user interfaces on consoles. 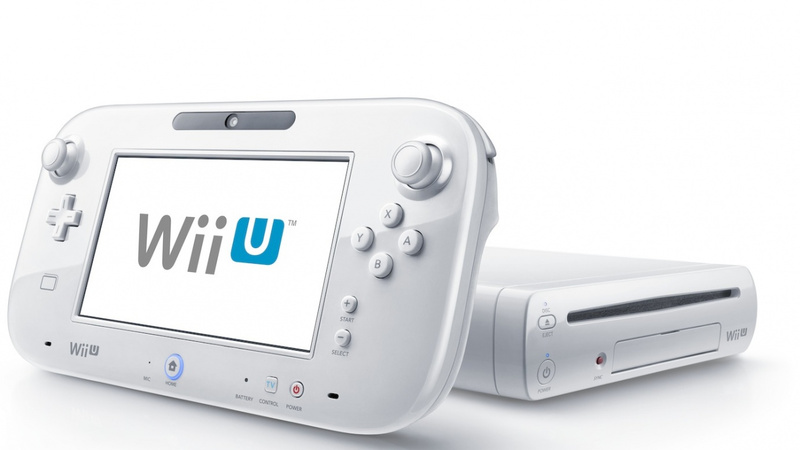 One of the first things you'll need to do when you load up your Wii U will be to connect online and perform a system update, which will spruce it up with lots of extras. We're not talking about minor additions, either, as the update will apparently bring you Miiverse, Wii U Chat — described as a "real time communication application" — eShop and, if you're in North America, TVii. It seems that preview systems will actually be retail units requiring this update, and even these aren't expected to receive it until shortly before public release. While downloading and installing a potentially sizeable update may not sound ideal, at least this functionality will be there on day one, an improvement over the eShop delay on 3DS. We don't have long to wait before we can see what these features can deliver. Doesn't sound like a big deal to me. Gives me time to play my 3DS while I wait for the system to update. I hope updating won't be a big deal to others. eshop on day one sounds nice. Is system transfer available on day one, as well? I can see that as a strategy to "force" people to hook their Wii U online. If that is the case, it makes sense. Wait...so what about those who want the Wii U but can't connect to the internet. will it still be able to play games without the update? @Arcanum I imagine you will still be able to play games, you just wouldn't have the features outlined above, Miiverse etc. I've been dragged back to Wii U. I guess I hit my head on something because I went right off it. I can only apologize still, unboxing a fresh new console, (can't be beaten) setting it up and knowing that it will be choc full of nice electronic treats right on day one once it boots up will keep me nice and toasty this Christmas. @sinalefa Well, all of those features (Except possibly TVii.) would need internet anyways. At least we're getting everything right at the start...even if we do have to update. I think this is fair. It allows Nintendo to not rush these features and prepare them while they manufacture the initial batch. No delay for us, so no complaints. I'll just read the instruction books, that should only take all day. <scheming> I see this as an opportunity to secretly hook it up before the big Xmas day unwrapping by the kids. Let's just hope Devs don't swamp the console with games that purposely don't use the features. It's good for those with no Connectivity but people like myself will buy Wii U for many reasons but one of the main ones being to get the thing online. The 360 is pretty awful offline. We don't want Wii U to be a vacuous space of offline wonder otherwise Nintendo may as well scribble "U's" on existing Wii consoles in felt pens. As long as its day one I am fine. I'm gonna sit back and watch TVII when I get this. Should be fun. Now, let's hope Sears or GS has a leftover unit on day 1. I don't mind. It will give me time to recover from all the squeeing I'll do when it arrives. Booklet that explains all the applications and features. Since we've been told next to nothing, I don't really have a choice. Well, makes sense, if you can't access internet, why would you need a bunch of features that make use of it? I'd love to know more about this Wii U Chat thing. If it's anything like Xbox Live parties, we're in business. This isn't a big deal since all of these require internet anyway. Can't miss what you don't have, I guess. You can still pack your Wii U, visit a friend who has an internet connection and kindly ask them, if you might use it for the update. I hope it's not a massive update I'm out in the middle of nowhere if it's 2-3 gig i'm going to be waiting all day for it and I thought the pain of waiting till the 30th was bad. It's going to be painful watching it update when all i want to do is play. I think it makes sense since those things all require the internet anyway. It's almost a good thing since if you have no intention of ever connecting it to the internet then it means you have available space for game storage, etc. @ei8htbit I also miss those booklets! I loved reading the storyline, and OK we still have the introduction videos but I just find the writings in the manual so much better. Maybe it's just me? The things they do to get people to connect. If i'll need the online, why not. If it's easy to hook up and doesn't need extra money in accessories i'll do it. At least it's day one. Will this take up some of my 32GB space or will it use space set aside for the operating system??? @aaronsullivan - That's exactly what I did with my PS3 3 years ago. It needed a few firmware updates and I DL a bunch of demos to try out. My kids were young enough then not to know any better, they might notice now though. Still better to get it done before Christmas morning though, I could see this being a time consuming endeavor. Another reason to wait until things settle down and Pikmin 3 and Bayonetta 2 get released. I know a lotta people with Wiis and aren't connected to the Internet. THIS could be a problem...but it makes sense. Do you really need the extra space if your gonna feed the Wii U discs all it's life? @leftoverlunch My tablet is able to download major OS updates in the background while still having access to everything. Maybe the Wii U will be able to do the same given this is a next gen console. And maybe people will even download a game while they're at it, who knows. I don't think Nintendo would design it that way, just look at the 3DS, you can hardly do anything without closing your game out of memory. Im fine with that. Im very exited!!!! He could have been on his phone or in his local library or coffee shop. Well, all of these require internet to use, so I doesn't really matter if they don't get them if they don't even have internet connection in the first place. I thought the Miiverse acted as the user interface and appeared when you started up the console? If that is the case, what would the UI look like before the update? @LavaTwilight You're not alone, I like reading instruction manuals too. I like how some instruction manuals are really fun to read like the ones for Wario games the No more heroes series. Ah maaaaan!! e-shop AGAIN not standard in every console!! Yet again you need a download!! And Nintendo said they had learned their lesson!! Anyway, just wait a few months (like me). By that time every Wii u comes standard with the e-shop, so that you don't have to waste precious memory-space for a channel (that should have been standard) that you could otherwise use for downloaded games!!! Well.... Once I actually get one, I'll have to access faster Internet. Virgin Mobile sure as hell ain't gonna cut it.